Hey all, Join us for 2 (two!) donate-what-you-want learn-how-to-do-your-own-oil-change workshops. 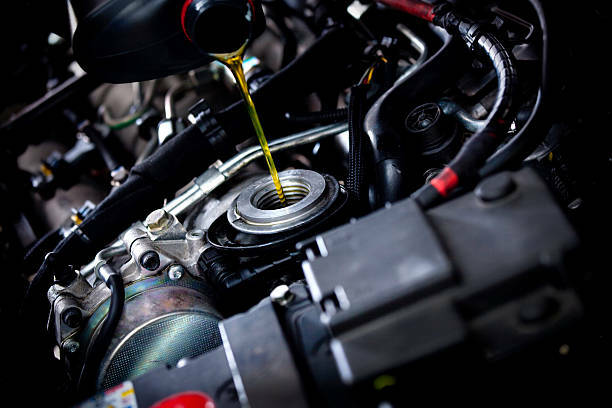 Both at NOON, on Saturday Oct. 20th, and Oct. 27th, [Jared] will be changing the oil in a 2012 Prius on the 20th, and a 1999 Dodge Grand Caravan on the 27th. This short series of "workshops" will be as hands-on as you would like it to be (i.e., if you just want to watch, that's fine, or if you want to lay on the ground up under the car and get your hands dirty that's fine too.) and will have all of the necessary supplies provided. You will leave this event with knowledge about how to perform a simple oil change in a car. What to bring – Clothes that you don’t mind getting a bit dirty, closed toed shoes. N.B. A big shout-out to [William] who ran this workshop earlier this year and taught me how to perform an oil change. LVL1 will be out in the community the weekend of September 15-16! Throughout the weekend FirstBuild is running a Hack the Home Hackathon, Starting at 8:00 AM on Saturday and running through the end of the day Sunday. LVL1 will have at least one team of makers competing in this hackathon. On the 16th, from 11 - 7, join us as we exhibit many community projects at the Pop-up Faire that Maker Faire is running this year. the Pop-up is in the FirstBuild parking lot, during the second day of the Hackathon. As is a LVL1 Tradition, we'll also be running the annual "Oh Sh!t MakerFaire is next week Hackathon!" the weekend before the Pop-up Faire and Firstbuild Hackathon. The theme of this year's "Oh Sh!t Hackathon" is "Stupid Sh!t No One Needs", and it will run from Friday Sept. 7th @ 8PM until Saturday the 8th @ 8PM. Come on out for two consecutive weekends of non-stop making, and as always, Hack on! Join us to make napkins using shabori tying technique. 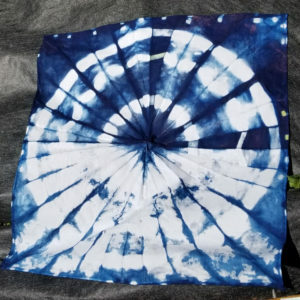 We will be using indigo dye. What you need to bring: Yourself, wearing old clothes, just in case it gets messy. This is part of a series of monthly workshops co-hosted by LVL1 and Makerfaire Louisville on the 4th Wednesday of each month until Louisville's Maker Faire on September 15th and 16th.